Did you ever have a big sister or brother you aspired to be like? 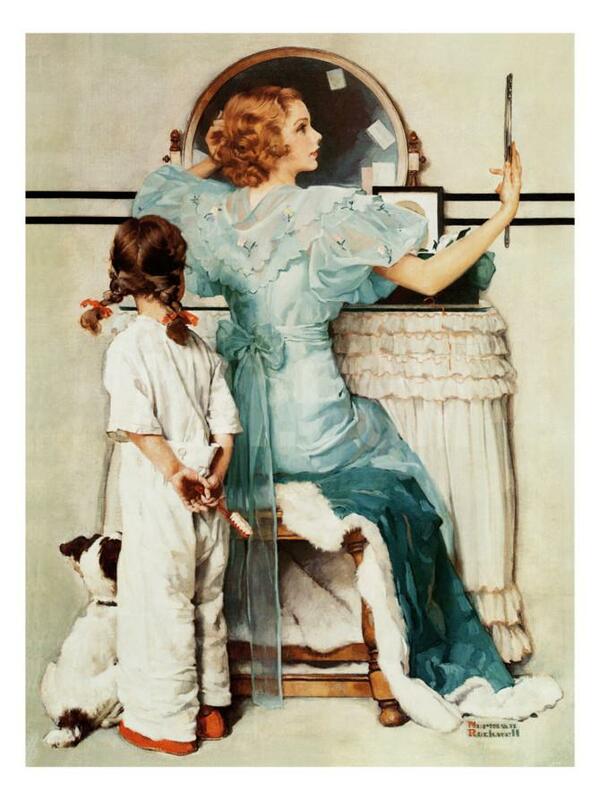 This little girl looks wistfully to her sister as the young woman prepares to go out. The painting is by Norman Rockwell.